In the year 1973, a 20-year old Australian surfer, embarked on a quest to find the perfect wave in the middle of nowhere. “A sacred mission” is what he called it; little did he know the amazing adventure destiny had in store for him. He was never to reach Africa – where he had initially intended find the perfect wave. On his journey he was reunited with an old friend whose quest was akin to his and together they set off to the island of “Serendib”, known today as Sri Lanka. The young man’s life changed forever thanks to their encounter with a strange man who had a pet monkey and a ship. Oblivious to their new friend’s inability to make sound decisions, the two overenthusiastic friends joined him on his journey to Africa. Less than a week into their journey, they found themselves stranded on a reef in the middle of the Indian Ocean- shipwrecked. The following day they woke up to realize they were in paradise; surrounded by tropical islands, crystal clear blue water, perfect weather and the best waves they had ever seen. And that is how the legendary Tony Hussein Hinde discovered Maldives by chance. Some call it the ‘surf fairy tale’. Captivated by beauty of this island chain of 1200 islands and realizing the potential of surfing there, he decided to make the Maldives his new home and immerse himself in its culture. Soon he fell in love with a beautiful Maldivian girl and said “I do.” The duo later established Atoll Adventures, the first surfing tour operator in the Maldives. Introduction of tourism in the late 70s put Maldives on the world map. The country was soon exposed to surfers from all over the globe. Tony dedicated his life to making sure that surfing was carried out in a sustainable manner in the Maldives. He died in 2008 doing what he loved best-riding a wave at Pasta Point in Chaaya Island Dhonveli, where Atoll Adventures is based. Today Atoll Adventures is operated by a few dedicated Maldivians, under the leadership of Tony’s son Ashley, continuing Tony’s dream. “We operate with a sustainable limit of surfers on the tour, preventing the problem of overcrowding and we only employ experienced Maldivian staff in the operations with all staff being fully ISA accredited.” explains Dara, one of the Directors of Atoll Adventures. Dara is also one of the most experienced local surfers and has been with Atoll Adventures for over 20 years. 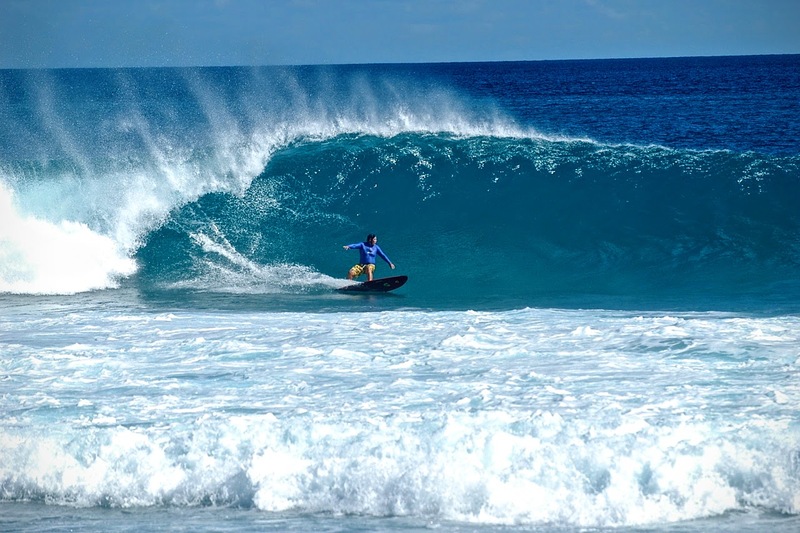 Pasta Point is one of the most famous and undoubtedly one of the best surf points in the Maldives. This reef break consistently pumps out lefthanders of all sizes and is least affected by wind. The surf point is exclusive to guests of Chaaya Island Dhonveli which is located in North Male’ Atoll, home to some of the best surf points in the country. 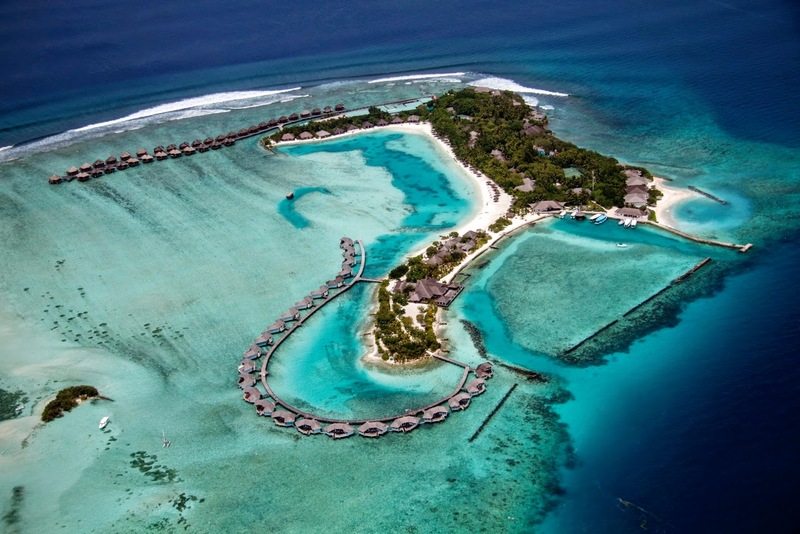 It accommodates a maximum of 30 surfers at a time and is, undoubtedly, the best surf resort in the Maldives. Famous surf points like Sultans, Honky’s and Jailbreak are less than ten minutes from the resort and Cokes and Chickens are a 45minute-boat ride away. Unlike other operators, Atoll Adventures’ boats are always on standby from 6am to 6pm to take surfers to the best breaks. 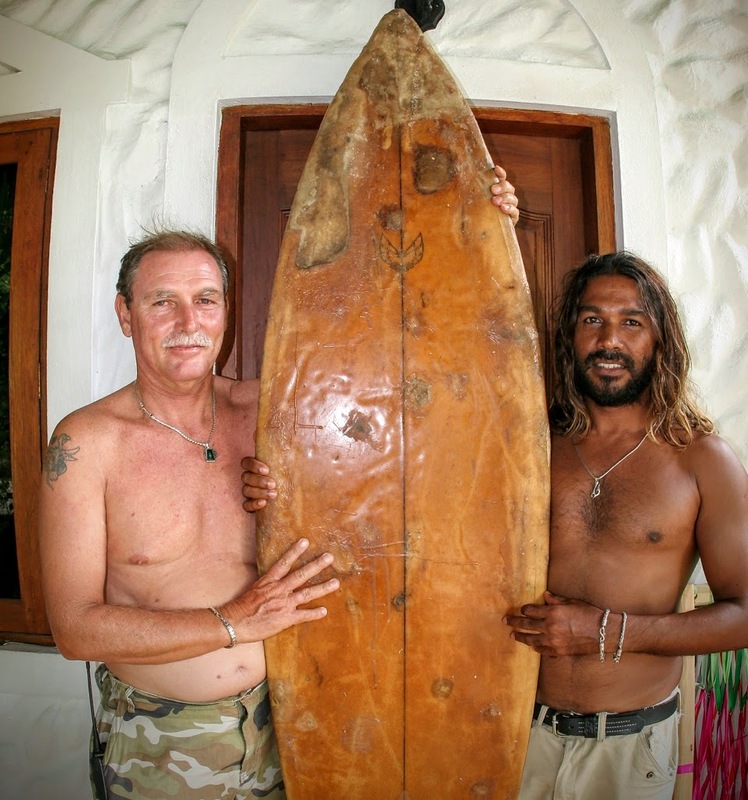 Tony and Dara holding the first surf board brought to the Maldives. The surf board is now in Australia and will soon be displayed at the Surf Museum in Australia. Dara describes Tony as a man of great charm, humor, integrity and an inspiration to both local and visiting surfers. “Tony was more of a brother than an employer to me. He was friend and family to me. I feel privileged to have worked with him for 15 years. It still feels as though he’s around at Pasta. Tony rode his last wave at Pasta Point. He surfed his way into the Maldives some 37 years ago and left behind a legacy that continues to grow and provide endless fun and significant source of income for a beautiful nation. He is sadly missed and always remembered”, says Dara, his face showing admiration and love for Tony.